Prison officials say that the video was uploaded to the Internet using a smuggled cell phone. A music video that a group of inmates recorded while behind bars has landed the prisoners in solitary confinement for a combined total of a whopping 20 years. 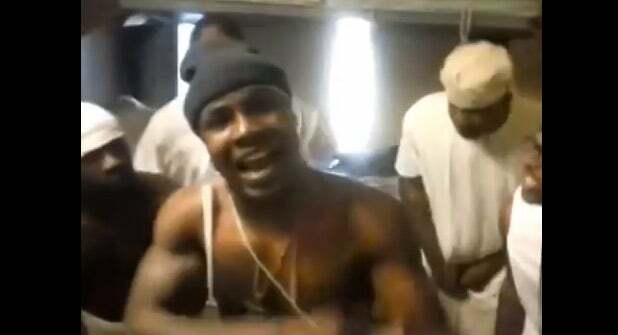 BuzzFeed reports that 7 inmates at a South Carolina correctional facility recorded a rap video last year on a contraband cell phone and uploaded the video to WorldStarHipHop.com. Once prison officials caught wind of the video, the prisoners were punished on charges of disciplinary issues, “assessing with a social media site,” referencing gang-related material and possessing an illegal cell phone. The group was sentenced to varying lengths in solitary confinement—a combined total of 20 years—and have lost privileges such as visitation rights and phone time. However, many citizens oppose the punishment for the inmates, who are serving for a variety of crimes ranging from burglary to voluntary manslaughter, pointing out the detrimental effects of solitary confinement. Activists hope that their punishment can highlight what they say is criminal justice abuse.